Have some furry, four-legged friends in need of a new veterinarian? Luckily for you, a brand new vet hospital is opening its doors in our own backyard this August. Led by Dr. Scott Senf and Dr. Jay Goldsmith, the Foxbank Vet Hospital has been an idea that they had been discussing for a few years. Then, last year, fate stepped in. 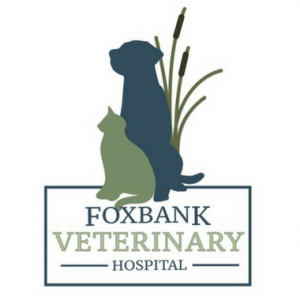 The plan is to open in August, and then the hospital will host an open house in early fall so residents and community members can meet the Foxbank Vet Hospital team and tour the facility. The hospital will feature an in-house laboratory, dental surgery equipment, a diagnostic ultrasound, digital X-ray machine and a complete pharmacy. “Our concept is to bring quality veterinary care in a friendly and compassionate environment,” explained Dr. Senf. From vaccines and heartworm medication to annual check-ups and emergency surgeries, the Foxbank Vet Hospital will offer everything a pet owner would need to keep their pets happy and healthy all year long. Initially, the hospital will be open on Monday, Tuesday, Thursday, Friday and a half day on Saturday. But Dr. Senf and Dr. Goldsmith are confident that those hours will change as they continue to grow the hospital. Join us as we give a big, warm, Foxbank Plantation welcome to Dr. Senf, Dr. Goldsmith and the rest of the Foxbank Vet Hospital team! This entry was posted in Around the Community, Foxbank Plantation and tagged Foxbank Plantation, Foxbank Veterinary Hospital, News. Bookmark the permalink.